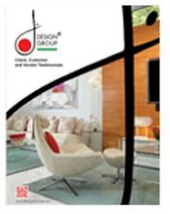 Interior design is constantly changing to meet consumer demands. A good example of this is using bold vibrant colors to give a room personality and create interesting spaces. This trend has become quite popular with both residential and commercial property recently and you can expect the next few years to be filled with color. Another trend that will most likely be around for a very long time is creating functional designs that cater to the need of busy families. Between work, after school activities and all the other things you have to take care of each day, time is very limited. Having a fully functional kitchen design that allows you to use your time more efficiently is in high demand and that’s something that will never go out of style. Thanks to modern technology, there are several innovative design ideas for the kitchen that will make everyday tasks a little easier to accomplish. Energy efficient appliances are normally the first choice when remodeling or updating a kitchen but you may soon have a new option to choose from. Smart appliances designed to make everyday tasks more convenient may be the future of modern kitchen designs. For example, whirlpool has a new oven that has both a full and a half size oven space. When you only need to reheat something or bake something simple like pizza, you can use the half-sized oven to save energy and it’s more convenient to use because it doesn’t take as long to heat up. The mini fridge is another great idea that can make grabbing a snack or beverage easier because it fits under any counter. You don’t have to interrupt or get in the way of the cook to get something to drink when they’re preparing meals. You can simply reach under the counter and grab something quickly from the mini fridge without having to walk through the kitchen. A hot water heater that lowers the temperature of the water when you’re not around is another ingenious invention that can save energy and money but the options don’t stop there. How do you feel about preheating your oven on your drive home so you can pop dinner in as soon as you walk in the door? What about having a refrigerator that can give you recipes that you can make using the items you currently have available or one that lets you know when you need to buy more milk? Appliances that can communicate with you through apps using your Smartphone, tablet or laptop are a hot new trend that’s sure to get a lot of attention. These new appliances will even allow you to change the temperature of your refrigerator, lock the controls on your dishwasher or check the cycle remotely. Not sure which appliances would suit your needs the best? Don’t worry! Our expert designers in Miami can help you find the right appliances to create the beautiful, fully functional kitchen design you’ve been longing for. Modern appliances that communicate with you will surely be a big part of the kitchen designs of the future. How do you feel about them? How comfortable would you be with a fridge that talks to you?